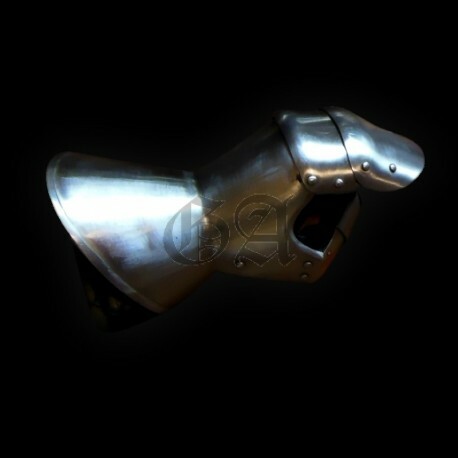 Ideal for billmen, pikemen and heavy infantry, our "beginners" gauntlets will allow you to start reenactment with your hands properly protected. In the second half of the fifteenth century, this kind of protection, were mass produced in Milan workshops and were exported all over Europe.Even a simple Coutilier paid 40deniers per day (in French Ordinance companies) could easily afford a pair of miton like this for only 240 denier. Can be supplied with a pair of HEMA padded gloves for only 25€ !